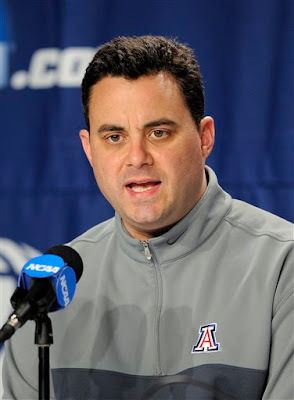 Is Arizona head coach Sean Miller headed to Raleigh? Miller is believed to be one of three coaches on A.D. Debbie Yow’s short list, along with Texas A&M’s Mark Turgeon and Wichita State’s Gregg Marshall. Miller was an assistant coach for five years with Herb Sendek before heading west. His Sweet Sixteen date with Duke on Friday may very well remind him how it has worked of late in the Have/Have Not world of ACC hoops.